Spring 2016 is the season to invest in our slithery animal kingdom friends. All things crocodile, snake, lizard, and python are hot! 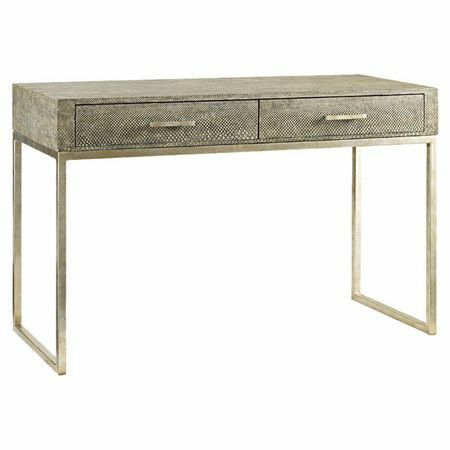 Whether you have the conscience for faux or faux-real (aka authentic ), in this post we’ll feature faux items we can really get behind! 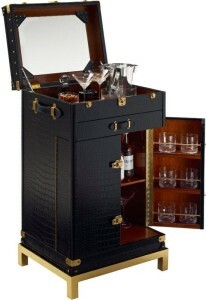 Style and function are both satisfied in this Ralph Lauren Home trunk bar. It is stately and sophisticated and we love it! 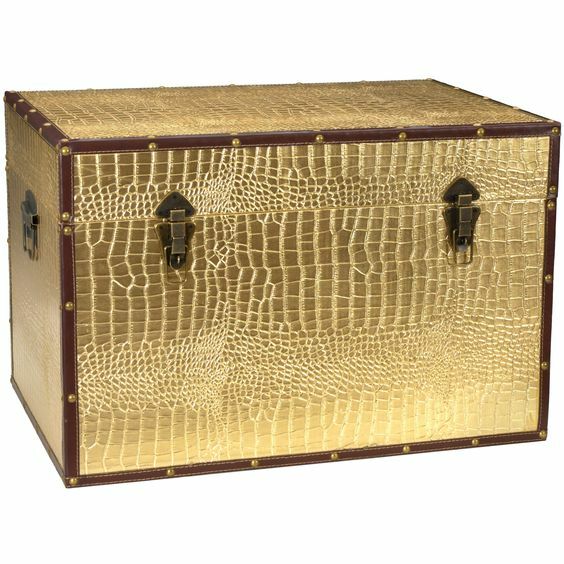 Cleverly named the One-Fifth Trunk Bar, this kitsch little number is a Pullman style trunk bar with embossed crocodile leather and polished brass stand. It features a mahogany interior and a mirrored back panel. 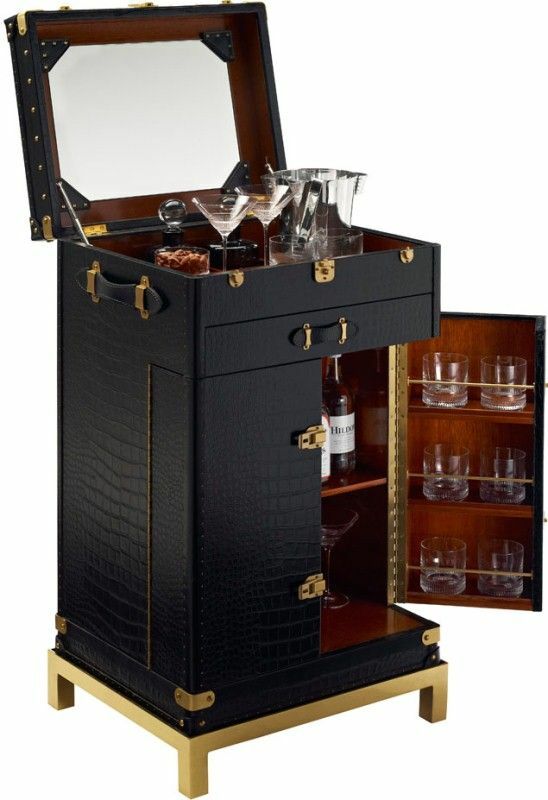 Includes storage for barware, mixing surfaces and custom fitted wells. Martini anyone??? 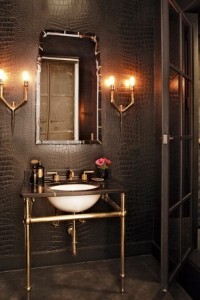 One of the Jigsaw team’s favorite ways to introduce reptile into a client’s home is with a bench. 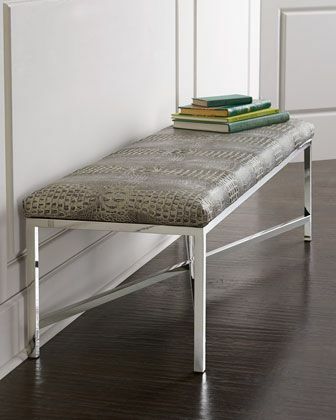 A reptile bench is perfect for the foot of the bed, down a hallway, in an alcove…just about anywhere will do. 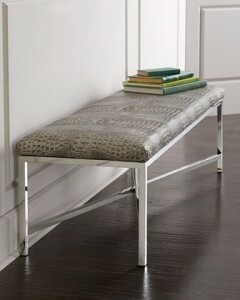 We can’t get enough of the Moreletti Crocodile-Embossed Bench by Massoud at Horchow. 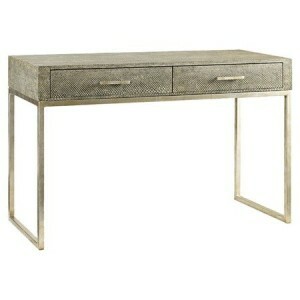 At $1799, this is a solid addition to any space. Faux reptile pieces are not limited to natural colors. 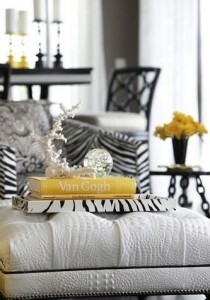 Bright eye popping colors inspire in pastels, metallics, jewel tones-all hot this spring. 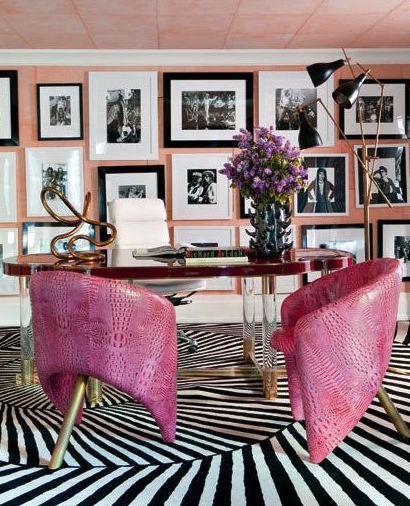 Kelly Wearstler killed it with these gorgeous pink faux snake chairs for this Bel Air home office. 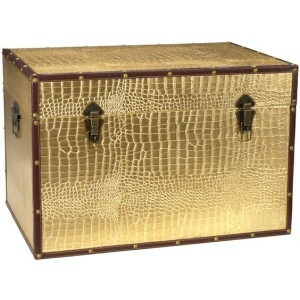 While most designer reptile pieces will cost you a pretty penny, you can rock croc that won’t break your budget. 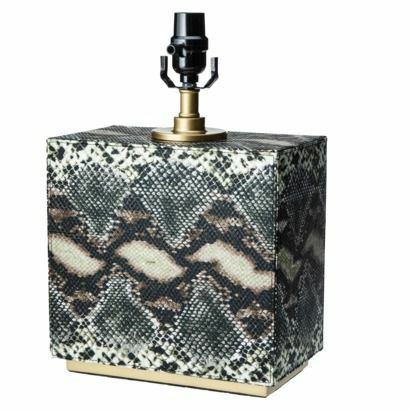 For example this fun Threshold™ Faux Snake Skin Lamp for Target at $54.99; or this fun metallic faux croc trunk printed on high-quality textured vinyl. Take the trend a different direction with embossed wallpaper. 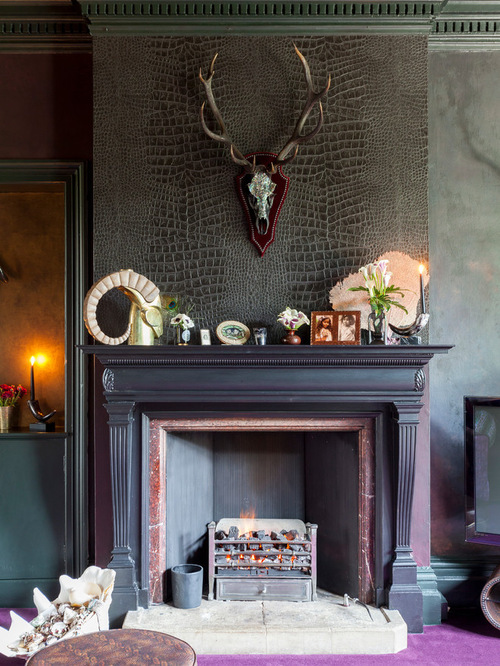 Give your fireplace a whole new meaning by applying the paper all the way to the ceiling. 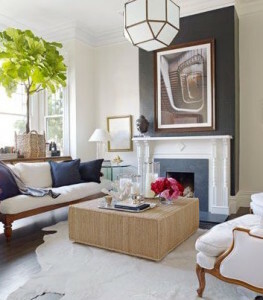 This dramatic focal point will certainly satisfy. 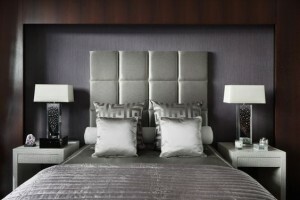 Available in mattes and metallics in a variety of colors. 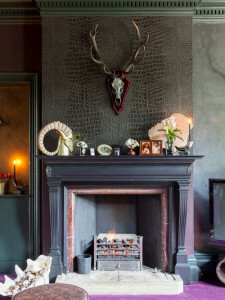 The fireplace with antlers below is Ralph Lauren about $55 per roll. 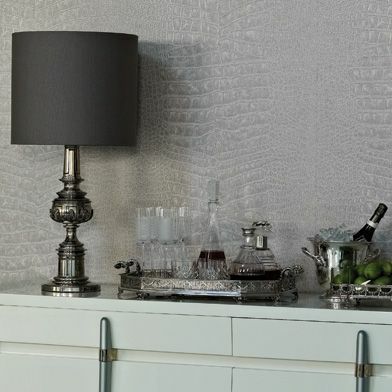 For more information on reptile trends or the images featured in this post, simply leave a comment or visit the contact page on the Jigsaw Design Group website at www.jigsawdesigngroup.com. Someone will quickly contact you with more information. Please subscribe to the blog for more informative articles like these, and check out our Facebook page for more tips and images! Be sure to ‘like us’ on Facebook! Now join us on Googleplus too!